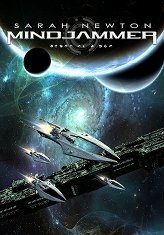 Mindjammer Press is proud to present Mindjammer, the first novel in the Mindjammer series! By ENnie award-winning RPG author Sarah Newton, it’s an action-packed tale of mind-bending technologies in the unimaginably far future, as the human race struggles to fulfil its transhuman destiny. Available now from Amazon.com (trade paperback / ebook) and Amazon.co.uk (trade paperback / ebook), and hobby and game stores everywhere!